Get back to your roots by learning how to make the Indonesian good-for-you herbal drink, Jamu. Learn how to make it all on your own when you prep the Ayurvedic drink at home. Hands washed. Apron on. 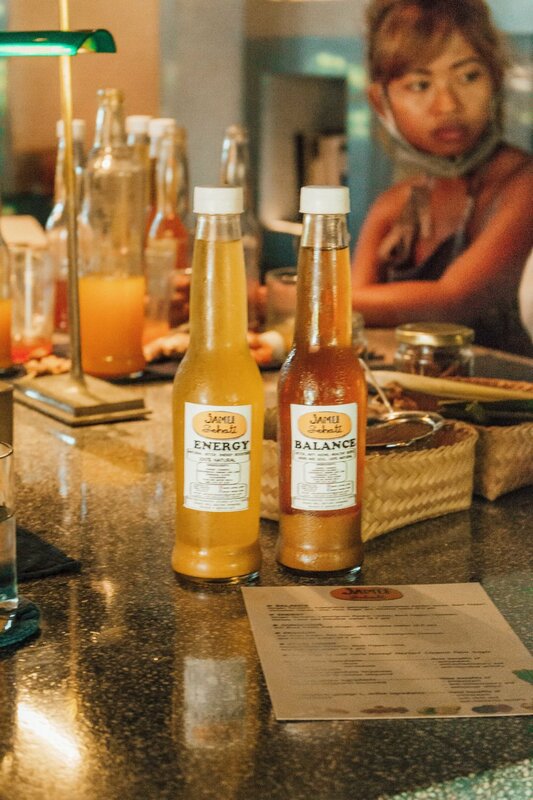 Tap into Jamu’s healing power and join us for an experience that's nothing like your mama’s cooking class. Steeped in history that traces back nearly 1,300 years, Jamu’s recipe has been passed down from generation to generation — and now to you. Using turmeric, ginger and kaempferia galanga, the mustard-hued elixir is an actual miracle worker by acting as a natural liver detoxifier and kidney cleanser. It speeds up metabolism and aids in weight management, plus it heals and alleviates depression, psoriasis and arthritis — as if you needed any more reasons to jamu with us. After getting the cultural and healing lowdown behind Jamu from the tonic-artisans behind Sehati Herbal Drink, you’ll get friendly with a knife to start peeling and slicing some rooty veggies. Using a mortar and pestle, you’ll see to it that your rooty veggies are mashed and ready for the next stage. As a class, you’ll boil the plants, strain the potent juice and learn how to make it all on your own when you prep the Ayurvedic drink at home. The two-and-a-half hour session is sprinkled with wisdom that you’ll soon incorporate into your wellness ritual. The brain food includes (but is definitely not limited to) the health significance of each of Jamu’s ingredients, the common kitchen staple each batch of Jamu needs to be activated and just why is curcumin (turmeric’s life-giving compound) so damn good for you. 1 jar of Sofyan's secret jamu powder to mix at home - hot or cold. Follow @sehati_herbal_drink for more info.